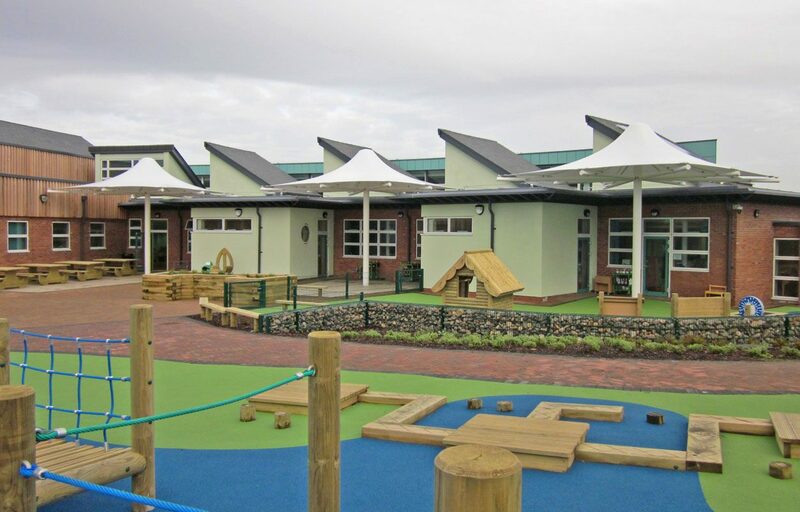 Series of single conic tensile structures for Vickerstown Primary School. 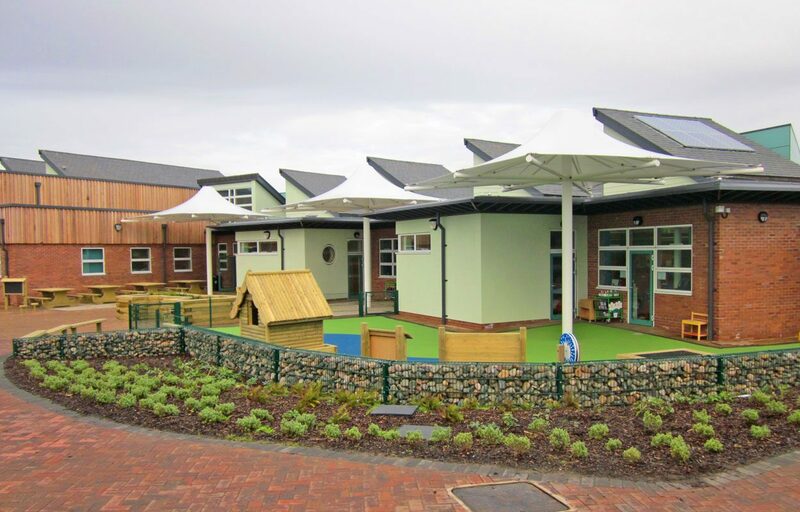 Fordingbridge collaborated with the Architect of this newly built school in Cumbria to provide a set of tall single conic canopies which create individual covered spaces for each classroom. 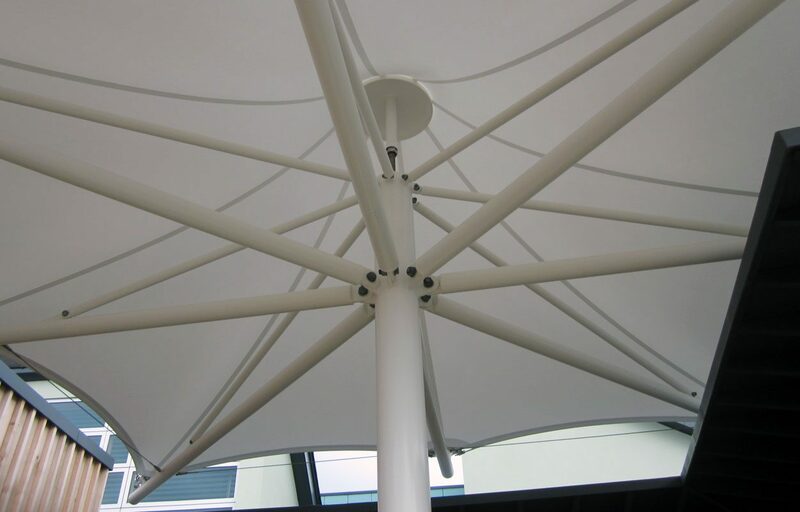 These structures were modified from our pre-designed range of tensile fabric structures to provide increased height. As well as a range of pre-designed tensile structures we also offer a full design and build service for structures tailored to your needs. All of our structures are CE marked which attests the verification by Fordingbridge that these products meet EU safety, health and environmental requirements.